For those of you that, like me, work online and still try an stay up with what the offline world is doing, you’ll like both of Bing’s Popular Now homepage features. These are similar to Twitter’s Trends and Yahoo’s Trending Now features, which contain links to search results for topics that are currently popular among their users. Popular Now Links – The first of the Popular Now features is the one that is always remains visible in the lower right corner of Bing’s homepage. This section contains 4 links to SERPs for the current days trending topics and often include celebrities in the news, sporting events, television shows, movies, product releases and recalls, and general pop culture trends. These 4 tend to be the hottest items that are consistently popular throughout the day. Popular Now Search Box Dropdown List – The second of the Popular Now features is one that I would venture to guess few people, relatively speaking, know about. 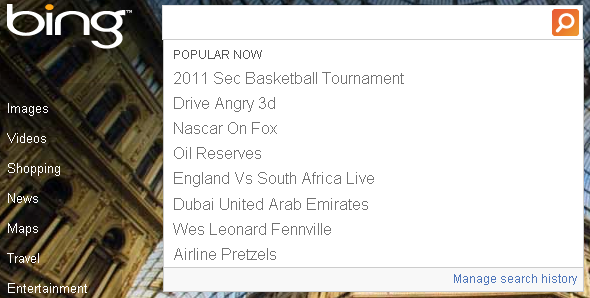 It is their Popular Now dropdown list that can only be found in the homepage search box. 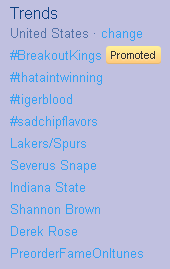 This list contains links to search result pages for other popular trending topics. This list will vary throughout the day as news and events become more and less popular to searchers. It will often vary from hour to hour and from minute to minute, especially during higher search usage times of the day. The combination of these Popular Now features, along with the daily changing homepage background images and interactive boxes makes the Bing homepage one of my daily stops. 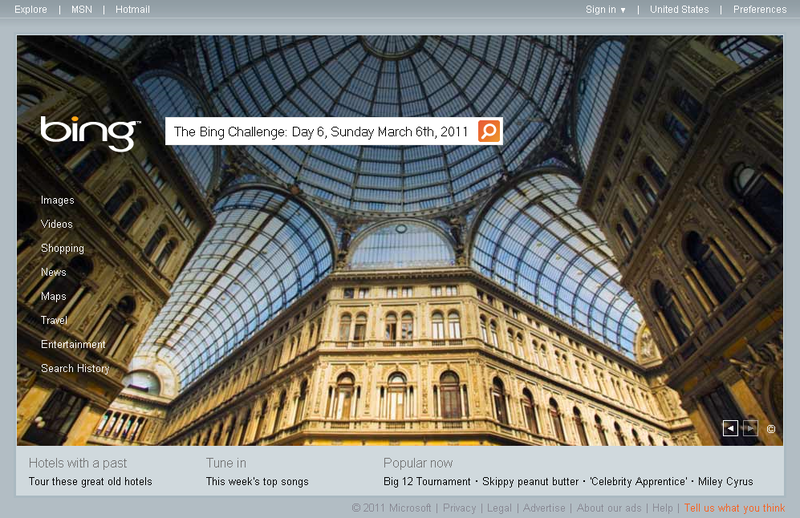 What do you think of the Bing’s search engine features, options and tools? Feel free to leave a comment.